So remember the banner I posted? I had some pieces that I had cut that were too small for a banner and I didn't want them to go to waste so what do I do? I MAKE CARDS WITH THEM! 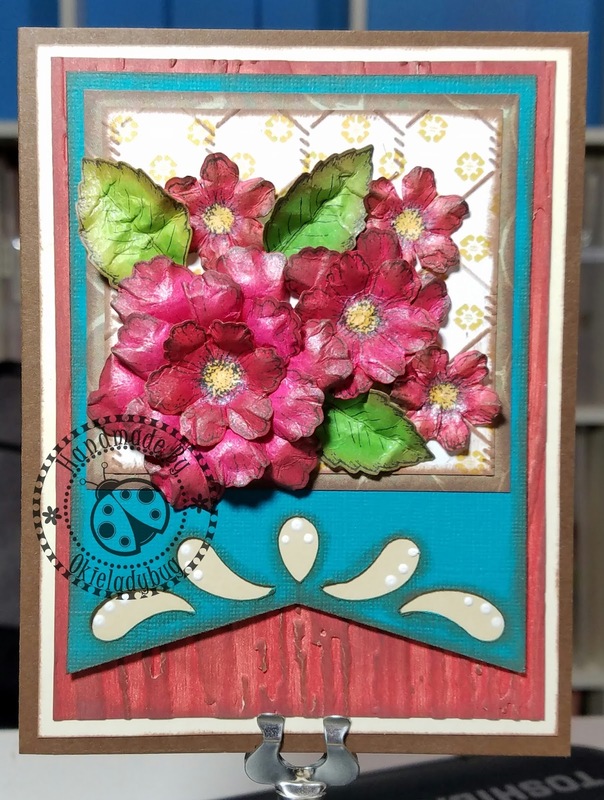 I used the Heartfelt Creations Botanical Rose stamped and cut images as the focal point and for the background I used the Chicken wire embossing folder to make it look like they were kinda poking through a fence. So this card could be used for a variety of occasions I didn't do a sentiment on the outside or inside. This way I can stamp something on the inside when I use it or just write a quick note. I colored the flowers with Promarkers and spritzed with glimmer mist when I got ready to shape the petals because I'm as addicted to shimmer as a rock star is addicted to cocaine *okie thinks she needs to stop typing up blog posts when it's late because there is no telling what words will be pecked out of her keyboard*. 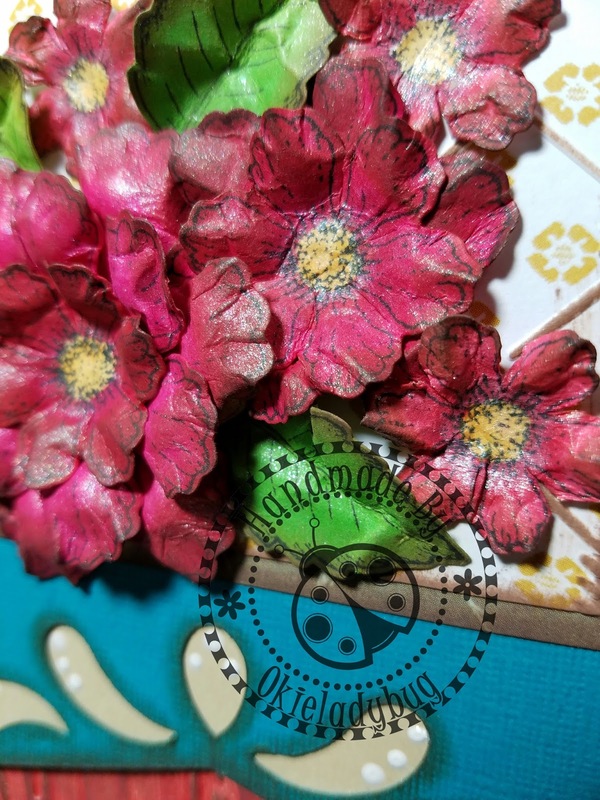 I dotted some glue on the middle of the flower and added some flock. Oh and on the banner I added dots with a white gel pen and it made a big difference on how it looked. Good use of leftovers!! Pretty card - TFS!